Yay! The "see what you missed video" is up and running on YouTube. Enjoy! And please share with your social and professional networks. Thank you! Video thumbnail above of Amma Asante, BAFTA Award-winning writer/director of A Way of Life and director of Belle. Ms. Asante is recepient of the WMC Directorial Excellence Award for “Belle.” Video production and editing by Gloria Buono-Daly (c) 2014. A big thanks to colleague, Andrea Goldstein, for holding the camera. 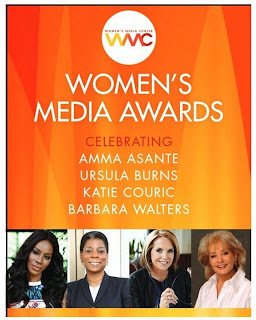 Below is the article titled "Women’s Media Awards Gala 2014 Honors Amma Asante, Ursula Burns, Katie Couric and Barbara Walters" which posted on the day of the event (Wednesday, October 29, 2014). The below version includes updated photos. "Barbara is a true glass-ceiling-breaker in the world of media. From a time when a woman would not be taken seriously reporting hard news, her relentlessness, bravery, intelligence and vision has changed the landscape of television journalism. Her skillful, timely and probing interviewing, her ability to ask the questions the public would most like to hear, and her fearlessness in challenging the world's most powerful leaders, has made her one of the most influential journalists in the history of television, and has provided us with a deep chronicle of the people that influenced the latter 20th century and a big chunk of the 21st Century" ~~ Gloria Steinem , Co-Founder of The Women’s Media Center, presented the Trailblazing Media Award to Barbara Walters. 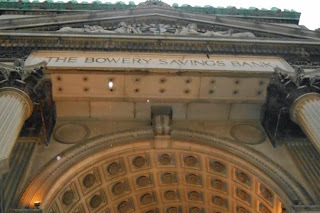 Quotes and photos throughout this blog have been updated. Bookmark, share and visit frequently. Photo above left of Amma Asante, Ursula Burns, Katie Couric and Barbara Walters courtesy of James Grant PR and WMC. 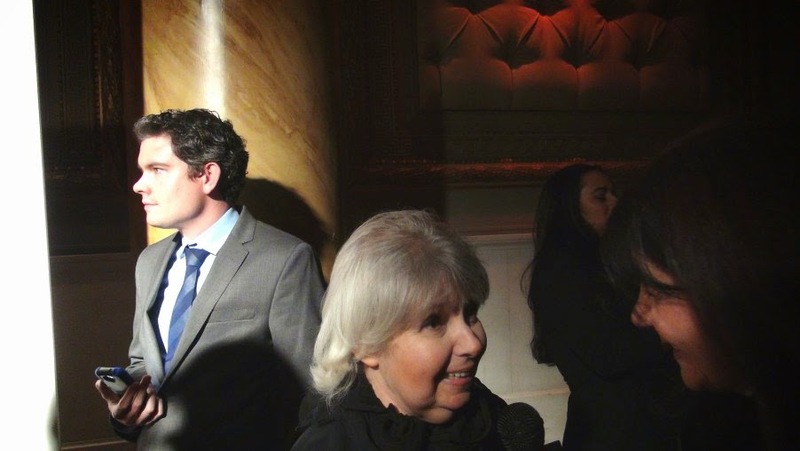 Photo below right of James Grant, President, James Grant PR and Gloria Buono-Daly, video producer, editor, writer and interviewer, Examiner.com. 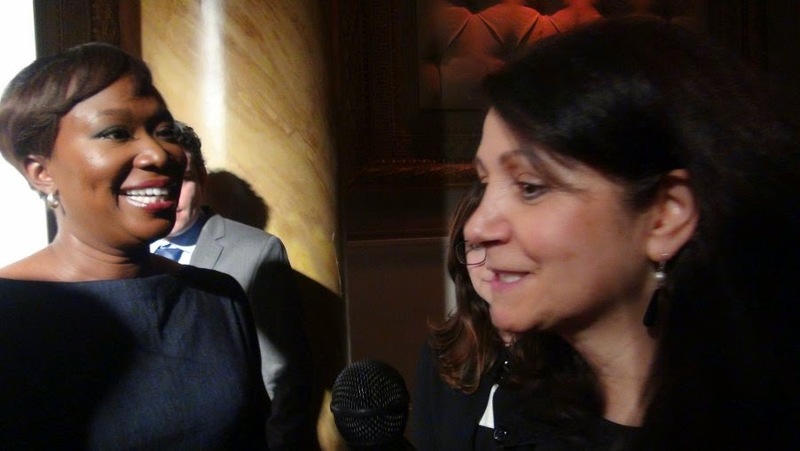 Enjoy the "see what you missed" photo album of The Women's Media Awards Gala 2014 on Facebook. The full house, sold-out event was held at Capitale, a Beaux Arts architecture building located on the lower east side of New York City. Known for its opulence décor, Capitale features a 65-foot ceiling with an art glass skylight, spectacular interior Corinthian columns and marble mosaic floors throughout. 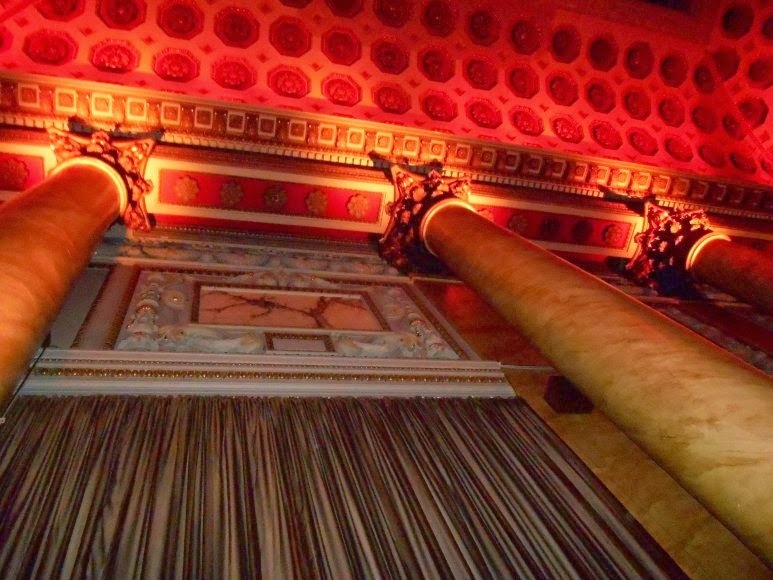 Photos of Capitale above right (exterior) and below left (reception hall with scagiola columns and coffered ceilings) by Gloria Buono-Daly. Gloria Buono-Daly . Photo below right of Gloria Steinem, co-founder, The Women’s Media Center, feminist, journalist and social/political activist by Gloria Buono-Daly. 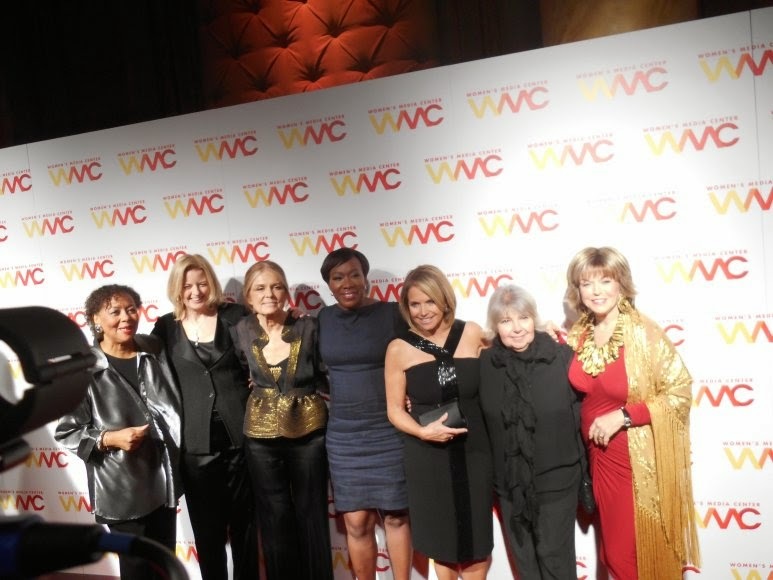 Steinem presented the WMC Trailblazing Media Award to Barbara Walters, creator & executive producer of “The View,” and ABC News special correspondent. Photo, from left to right: Carol Jenkins, Julie Burton, Gloria Steinem, Joy Reid, Katie Couric, Robin Morgan, and Pat Mitchell on the red carpet by Gloria Buono-Daly Women's Media Awards Gala 2014. Photo left Joy Reid, host of MSNBC’s “The Reid Report” and host for the 2014 Women’s Media Awards by Gloria Buono-Daly. Photo right of WMC 2014 Pat Mitchell Life Time Achievement Award recipient, Katie Couric on the red carpet by Gloria Buono-Daly. Photo below left of Robin Morgan on the red carpet by Gloria Buono-Daly. 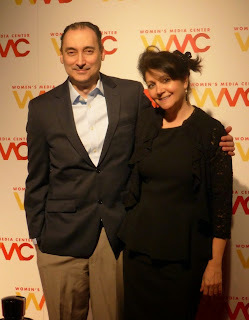 Yay, the photos of The Women's Media Center 2014 Women's Media Awards are posted on Facebook album.